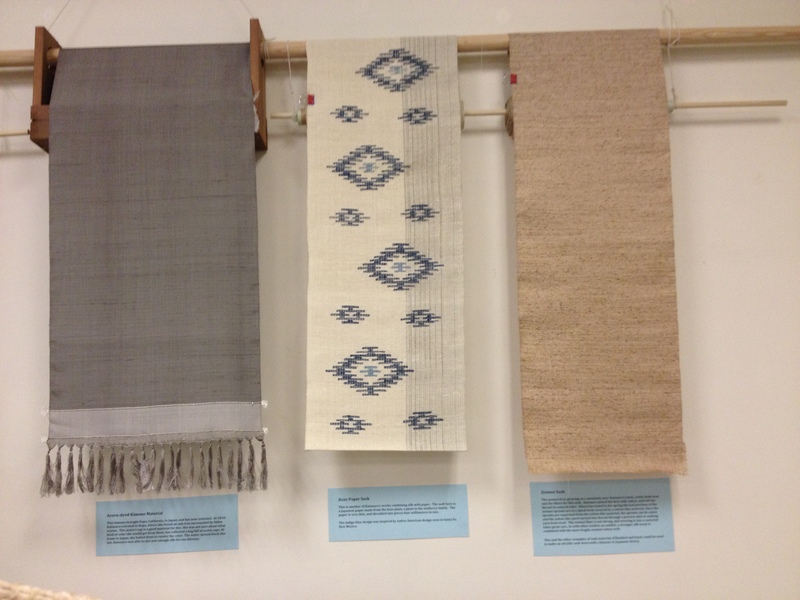 Before I left the Bay Area, I had the great fortune of hearing a talk, The Sound of Weaving at Ozu, by master weaver and natural dyer, Fukuko Katsuura. The event and exhibition was organized by the UC Berkeley Institute for East Asian Studies. While the artist’s detailed descriptions of working with natural dyes was not particularly new to me (and therefore not the most thrilling topic for a lecture), I was thoroughly engaged by her personal story (in particular her desire to learn how to weave and dye later in life, at the age of 60 – proof that changing careers at anytime is possible!) and the lovely kimonos and sashes she created for the exhibition. 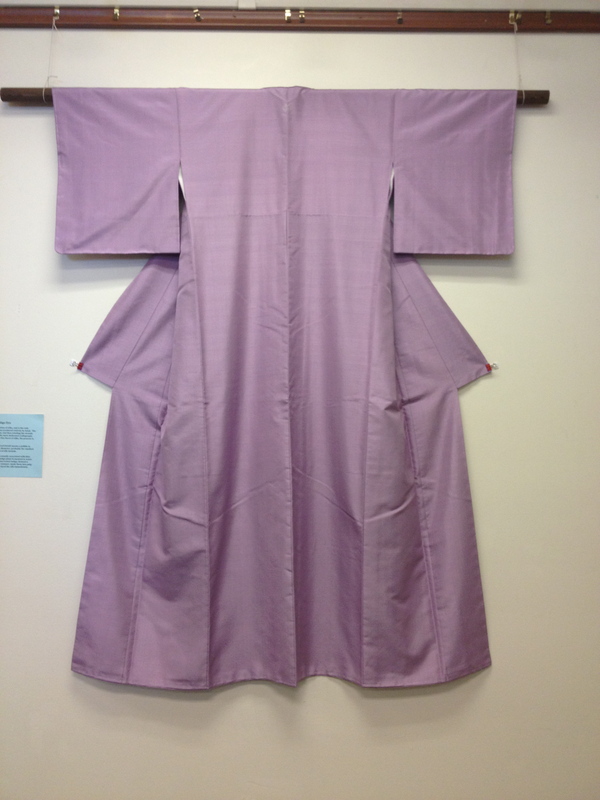 A kimono made from threads dyed in fresh indigo, the result being an incredibly light almost violet-colored hue. 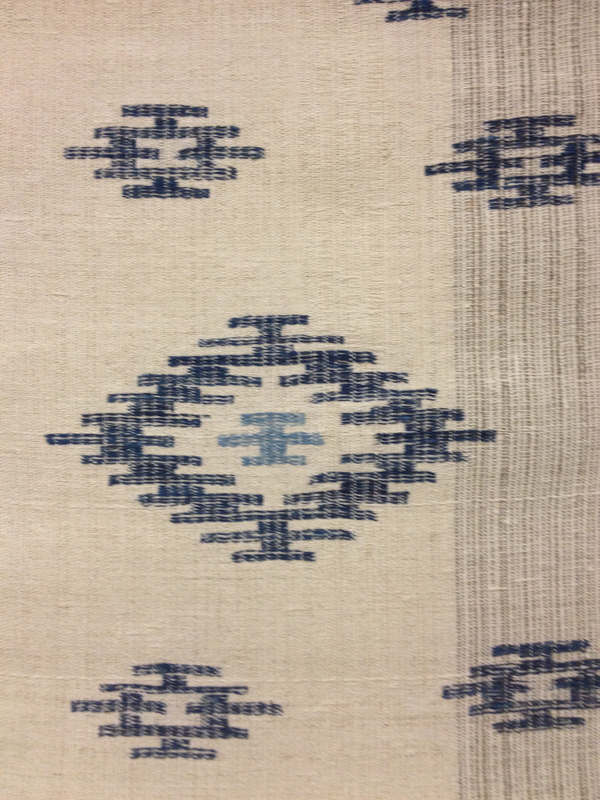 This lighter shade is obtained by dyeing the silk threads in freshly harvested (rather than dried) indigo leaves, collected from her farm by the Katsuura during early summer, then blended immediately into a pulp and used as dye. The artist used precious koishi-maru silk threads for this kimono. 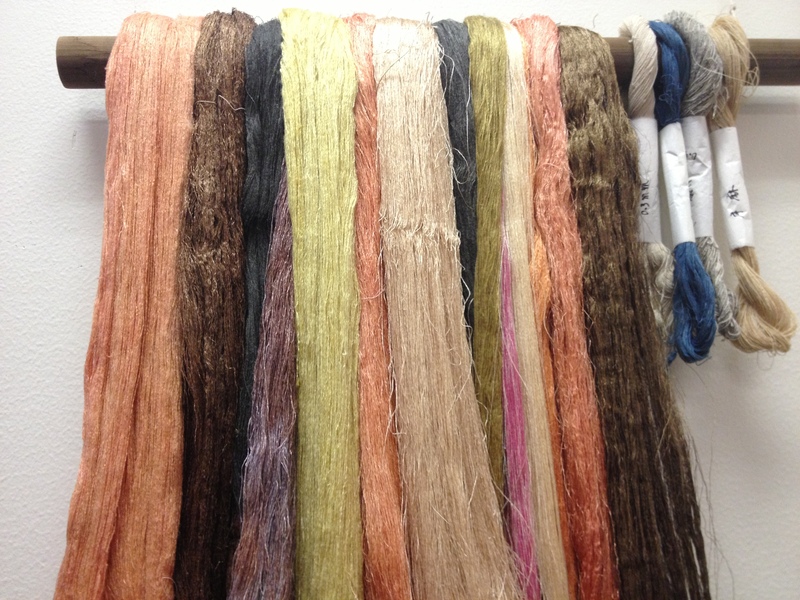 A lovely array of hues that Katsuura works with for many of her pieces. For several of Katsuura’s sashes she combines silk with other kinds of fibers like paper made from the kozo plant, a relative of the mulberry. The artist was inspired to create this pattern after seeing textiles made by Native Americans while in Santa Fe, New Mexico – my new home base!